What a glorious day Sunday was. On the way into town we passed Fritz riding his bike in shorts. From there on we knew it was going to be a great day! After the fog burned off and we made it down the lake, we headed to the airport to get our quad trailer ready to go. If you drive south of Powell River to Dixon Road, you enter a world of lakes and forests. During the week, this area is used by loggers. But on weekends, their extensive road system is available for use by the public with care. We saw a few trucks, jeeps and and handful of other quads, but most of the time we had it all to ourselves. Dixon Road quickly turns into a well used and often potholed dirt road. So we quickly found a turnout large enough for our truck and trailer. Our ATVs take the ruts much better than our larger vehicles. The sky was so blue is was breathtaking. We headed up Goat Lake Main and transitioned to the Stillwater Main towards Khartoum Lake. The view up Lois Lake to the snowy peaks was unbelieveable. We haven't been this way in almost a year. At that time, the devastating winter storms had washed away the bridge (February 10, 2007). It has thankfully been replaced and we can now return to this unique spot. Khartoum Lake has a primitive campground right on the shore. We first came here by kayak via Lois Lake. We returned in 2006 to host a unique book launch party for Wayne's book Up the Main. 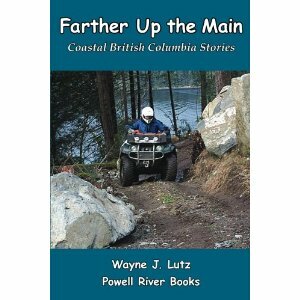 It is one of my favorite back country campgrounds in the Powell River area. The road can be tricky for a passenger car, but for a truck it is a fairly easy drive (except for maybe the steep entrance road in snowy or muddy conditions). I never knew they existed until today. Immediately when I saw one I called it a fog bow, and guess what, that's what they are. Today was the second foggy day up the lake this week. Fog can be very beautiful, but it can also be very dangerous when trying to navigate on water with a small boat. Today we left the cabin and sat in our boat at the edge of the fog waiting for it to dissipate. While there we had the opportunity to be "enveloped" in all of the aspects of fog. Fog on Powell Lake is typically radiation fog. It occurs most often in fall and winter months following a heavy rain when the skies clear and the temperatures drop. The fog forms at night when the earth's surface cools and the air reaches the dew point. It then hangs over inlets, lakes and valleys until the sun has a chance to warm the air. It burns off the land more readily, but can continue to hang over the water much longer. That's for sure. Here are a few of my fog shots from today including a fog bow. Fog bows are white in color because the water droplets in the fog are so small. With the naked eye I could see both ends of the fog bow, but I was unable to capture the entire image in my camera lens. It was pretty amazing! We were "promised" a sunny day by the weatherman, but what we got was fog. That seems to happen in Powell River this time of year. The south coast and Vancouver Island get lots of sun and we get fog. What's there to do on a foggy day? Go look for some of that glorious sunshine. We left the cabin at 9:00 and headed to town. We called our friend John to see if he wanted to go riding, but he'd already left for Theodosia. We decided to follow. John has a sixth sense for sunshine. It was noon before we got to Southview Road, parked and unloaded. It has been over a month since our last ride. It took me a few miles and hills to feel comfortable again, but it was good to get back on the trails and into the forest. It is so beautiful and peaceful. I love Theodosia even though part of the trail is a challenge for me. 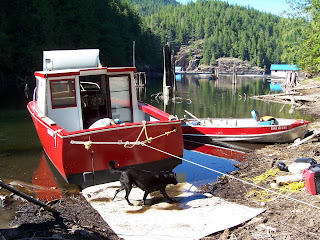 Coming down the trail into the remote inlet where we've anchored our boat always brings fond memories. And sure enough, here was the sun we were seeking. 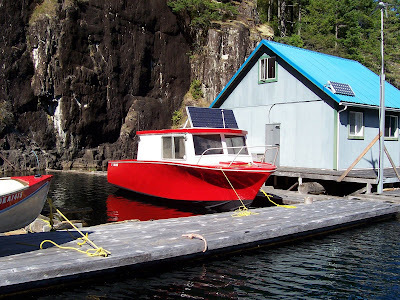 What do you do when you live in a floating cabin and need more space? An addition is out of the question, at least for our float. It can't take any more weight. So when Wayne wanted to build a writer's retreat, we looked at all our options. Our first thought was to build a small float cabin out back, but the moratorium on new cabins nixed that idea. We then thought about purchasing a nearby cabin, but that (fortunately) didn't work out. That's when John came to our rescue (again). He suggested purchasing a old boat with a run-out engine, so the search was on. Who knows a city better than a taxi driver. That's where John's brother Rick comes in. He knew of someone who had to move and needed to get rid of their old boat. If we were quick, we could get a good deal. Rick and Wayne went by to take a peak. Sure enough, it was "perfect" in its old derelict way. And the price was right, $400 if we got it out of their driveway by the end of the week. 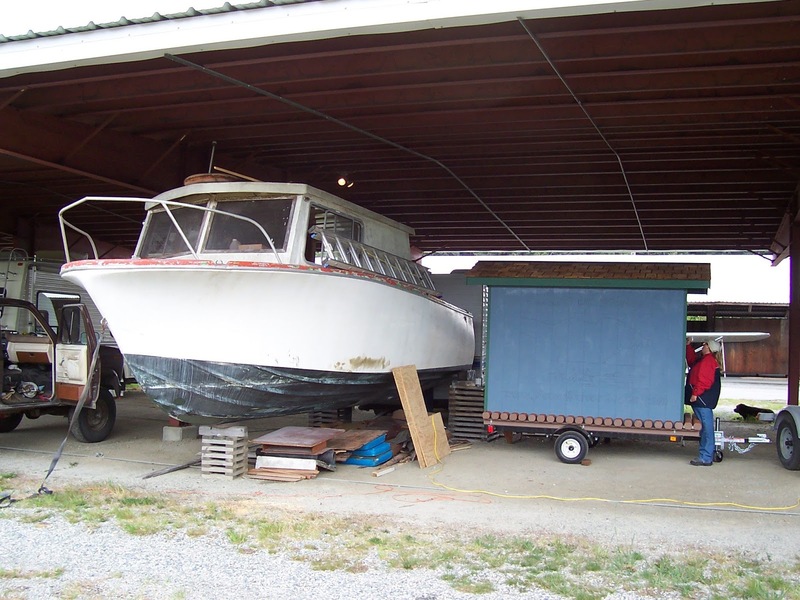 Where do two people with a floating cabin and a condo put a 22' boat for refurbishment? 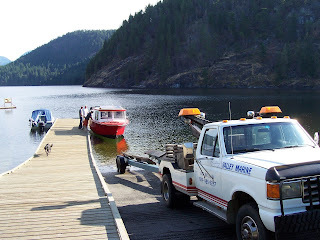 Well, for starters it went to Valley Marine to await the removal of its inoperative diesel engine and to seal the hole where the leg and prop once resided. There it sat for several months awaiting its transformation from a power boat into a floating writer's retreat. The boat's name is Gemini. That's quite propitious. John is a Gemini by birth, and John and Wayne (while not twins) would be doing the work to bring the classically designed boat back to its "youthful and lively" self. Besides, you can't change a boat's name willy-nilly. There's a whole process to go through if you don't want to tempt the fates, and we sure didn't want to do that. 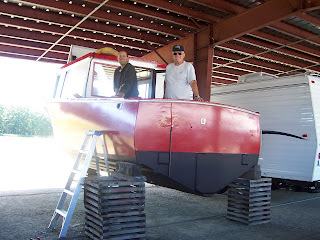 The first step after Valley Marine removed the leg and sealed her transom with fiberglass was to take her somewhere we could work throughout the winter. As I mentioned, we are home rich but land poor. Consequently, our Piper Arrow moved outdoors and our hanger became a boatyard. Good for Gemini, bad for 997 (that's another story). Valley Marine did lots of work in the engine area, but left us with all the old parts. We also had to attack the interior to make room for office space. This was something Wayne and I could do. We attacked it with a vengeance and removed as much as we could with hand tools. Bags of trash and larger items were stored under the boat until we were ready for a trip to the dump. Unfortunately, the things we were removing didn't have any reuse or recycle value. 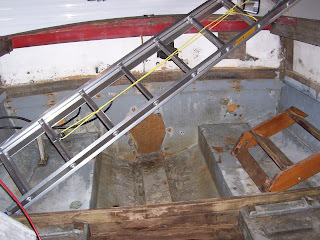 Once the initial cleanup was done, John came in with his power tools and completed the removal of interior items right down to the fiberglass hull. What we wanted was empty space, and that's what we got. No walls around the head, for that matter no head. No built in galley, no dinette, no captain's chair, no sleeping platform in the bow, nothing from the floor up. Soon after we helped John with the demolition, Wayne and I had to head back to the States for about six weeks. 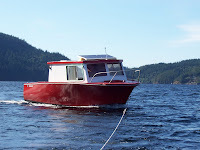 When we returned to Powell River, John had Gemini all torn down and was starting to build her back up. The interior was completed gutted and the rotten rear walls were replaced with fiberglass covered plywood. 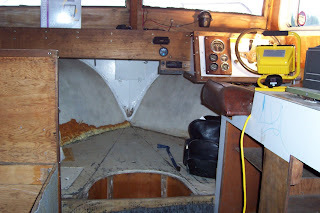 The trashed swim grid was removed and the cabin floor was replaced with plywood. The aft compartment where the engine used to reside was decked in. Since no space was needed for the engine, the deck was lowered even with the cabin floor. Consequently, the door had to be remodeled. We opted to go with a glass door rather than a traditional boat door. It was a challenge for John, but he redid the jamb and it fits perfectly. One thing we could do that didn't take much skill (we're the grunt labor) was sand and paint the hull, so that's where Wayne focused his energy. Wayne really likes bright colors, so what could be brighter than Signal Red. 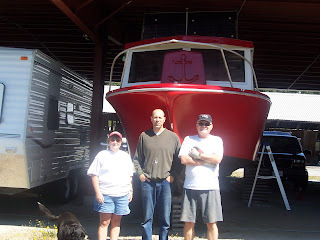 We started with black bottom paint, then red for the hull, and topped it with a white cabin. For the interior, Wayne wanted burgundy, but what we ended up with was more like fuchsia (John calls it bordello pink). When we had to leave again for the States, Gemini was all but done, just a little more paint and a few final touches for John to do in our absence. Just when you thought it was safe to go back in the water, here comes Gemini again (Extreme Makeover: Boat Edition). Yes, she was done and ready to start her new career as a writer's retreat, but there was one thing that John and Wayne didn't (couldn't, wouldn't?) do and that was make curtains. If you've ever used a computer on a sunny day, you know why curtains were an important addition for Gemini. I found heavy weave coat fabric in red and black that would do nicely on sale. I bought what remained of the bolt. I figured if I was going to make curtains, I might as well do some for the cabin at the same time. I don't have a sewing machine at the cabin, so I sewed them all by hand. It wasn't too hard and the heavy weave of the cloth hid all of my stitches. 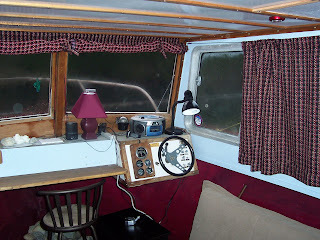 For the side windows I made simple rectangular curtains with an open rod casing in the header. 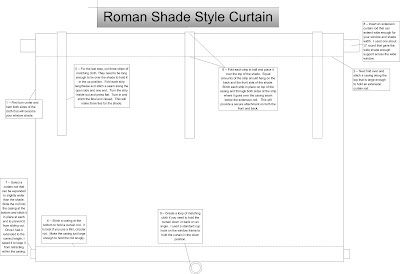 Since these curtains would be open most of the time, I chose to make them just slightly larger than the window width. That way they wouldn't be so bunchy when retracted. For a curtain rod purchased clothes line, crimp sleeves, eye lag bolts and small turnbuckles at the building supply store. First the eye bolts were screwed into the wall, then the clothes line was cut to fit the length with enough to turn back and crimp. I placed the turnbuckles where they would be hidden at the end where the curtain stacked when open. Once installed, a few turns on the turnbuckle brought the clothes line up taut so the curtains wouldn't sag in the middle. You've followed Gemini's progress from an abandoned hulk to a refurbished ship. Her inherent classic lines could finally shine through. But her transformation from a seagoing boat to a writer's retreat wasn't quite finished. While still in the hanger, she got a bright shiny crown, a 120 watt solar panel with two deep cycle batteries tucked neatly into hand crafted aft storage boxes. 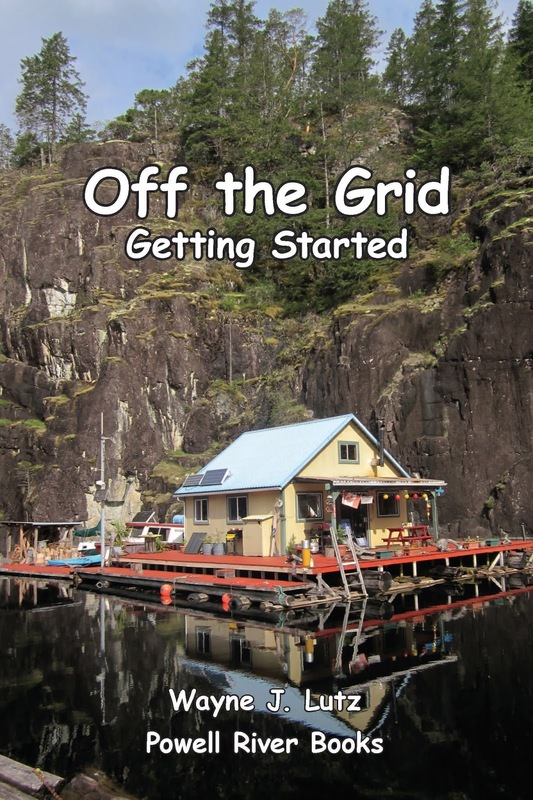 An inverter and electrical panel inside the cabin made power management simple with the flick of a switch. 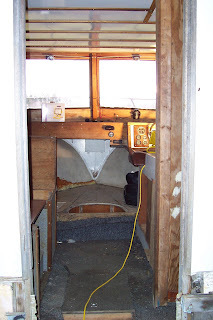 A ground rod attached to the transom made the system safe for use on the water. The interior was completed with new wall to wall carpet (with hints of burgundy to match our "bordello pink" walls) and a futon for those "thoughtful" moments. There wasn't room for a true desk, so John built a cantilevered shelf below the front windows where Wayne can sit on a tall barstool and enjoy the scenery while he works. So, with power for his laptop and a portable Big Buddy propane heater for chilly days, Wayne's writer's retreat was complete, or so we thought. Gemini was ready for Valley Marine to pick her up for her second maiden voyage, this time up the lake to our cabin. 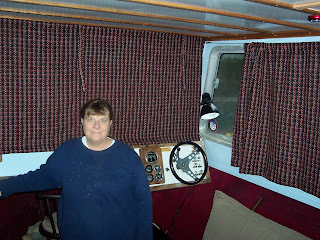 We knew she would be pretty light with the engine and all of the interior built-ins removed, but we wouldn't know for sure until she got in the water. Yep, she floated like a cork. In fact, she was so high in the water it was a little dangerous, but it was a calm day. Wayne and John left Mowat Bay and headed north with Gemini in tow. 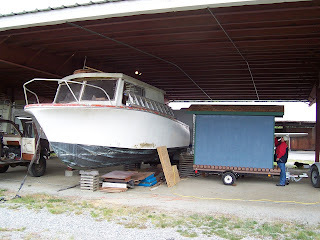 Extreme Makeover: Boat Edition - "It's a boat, you've got to expect a little water!" With Gemini done, John took a well deserved cruise in our ocean boat Halcyon Days with his friend Doug and two Honda 100cc dirt bikes to explore remote logging roads. It's an adventure John looks forward to each year. The trip was originally planned for four days, but the riding was good and it was almost a week before they returned. Why is this important, you'll see. Wayne and I needed to do something about Gemini's weight or she just might turn turtle one windy night. We discussed it with the experts at Valley Marine and of course our good friend John. 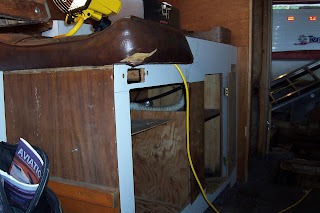 The decision was to fill the aft storage boxes and space below the floorboards with rocks. 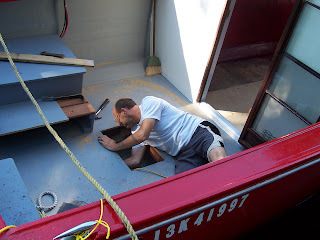 Not wanting the rocks to rub on the fiberglass hull, we first laid down mill felt (heavy waterproof cloth). 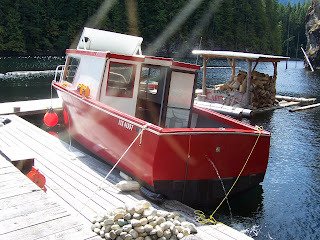 Wayne and I went to nearby Sandy Beach and loaded up buckets with round rocks for our "stuffing" project. The next day we noticed the automatic bilge pump was operating quite frequently. This seemed a bit strange, but we surmised it was residual rainwater. To make a long story short, we had a leak. First all of the rocks come out (quite a chore). This didn't help, so we found a way to tie Gemini to the dock to prevent her from sinking. Without John and his trusty tools there wasn't much we could do but wait for his return. John and his brother Rick discovered an old screw that wasn't sealed tight. Gemini would have to come out of the water for repairs, but John had an idea. We headed for his shallow back bay, used a turfer (winch) and tackle to haul her up on shore to get at the spot. He cut a new hatch in the floor, made a fiberglass patch and the next day Gemini was back in operation. People like John amaze me. They're so self reliant. Having lived all our lives in big cities, Wayne and I have limited practical skills and knowledge. Our learning curve is huge. No, not our John, even though we do go fishing with him. 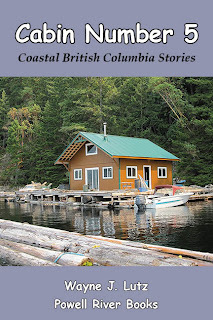 When I can't be at my float cabin I like to read about people from Coastal BC. Fishing with John is a book I read some time ago. It was also made into a movie. Edith Iglauer was a journalist with The New Yorker who came to Coastal BC to get a story about salmon fishing. What she found was more than a story. Fishing with John chronicles meeting and later marrying commercial fisherman John Daly. For four years they traveled and fished along the coast on his boat the MoreKelp. Through Edith's eyes the reader experiences the difficult yet sublime life on a trawler. 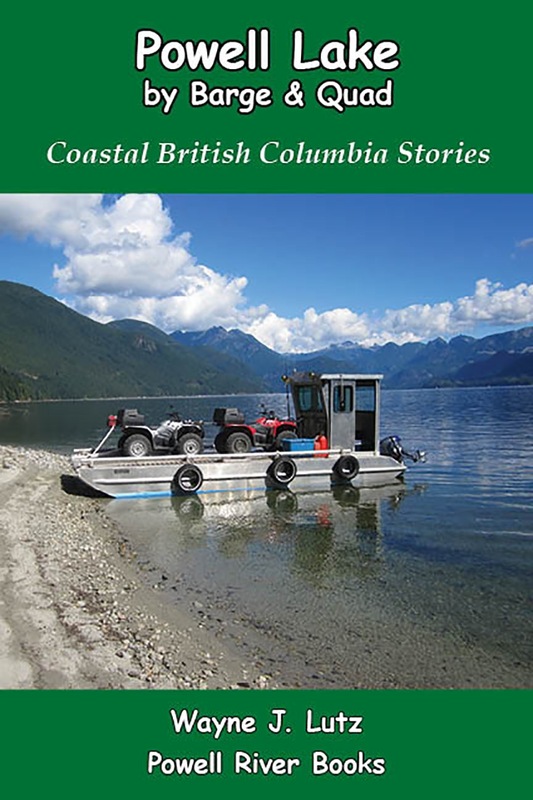 John was typical of the many self-reliant people who live and work in Coastal BC. He was more comfortable by himself working in close proximity to nature. Edith first admired and then came to love his eccentric and philosophical approach to life. This story has it all - adventure, love and vivid descriptions of the beauty that abounds along our coast. Each time I pass Pender Harbour on the Sunshine Coast I think about this book and Edith's story. She came to love the BC Coast almost as much as the man who drew her here. Living at our float cabin inspires us to learn more about nature. As we observe birds, plants and the occasional animal, we like to identify them. Because we don't have an expert background in biology, we use several nature guides to give us a hand. We purchased one of our first guides at Canadian Tire. 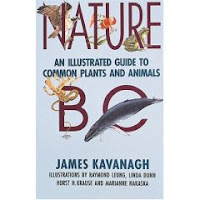 It's called Nature BC: An Illustrated Guide to Common Plants and Animals by James Kavanagh with illustrations by Raymond Leung, Linda Dunn, Horst H. Krause and Marianne Nakaska. This is a great little guide with illustrations (rather than photographs) and brief descriptions for the novice or casual observer. The descriptions include a distribution map and information including the common and scientific name, size, habitat, key field marks for easy identification, behavioral characteristics and points of interest. What I really like about this book is that it includes mammals, birds, reptiles, fish, shorelife, trees, shrubs and wildflowers all in one 175 page book. It has durable pages and binding, and is small and light for carrying in a backpack or the car. It is my first choice before going to my more technical guides. The only categories missing are insects and spiders, but I guess you can't have everything in 175 pages.